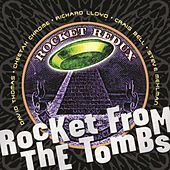 Active, but largely unheard beyond their early '70s Cleveland scene, Rocket From the Tombs are viewed today as seminal in the emergence of punk rock in America. 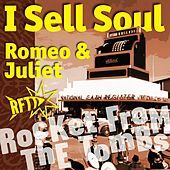 Members of the band went on to form Pere Ubu and the Dead Boys, with each of those projects covering songs written by RFTT. David Thomas, Peter Laughner and Gene O'Connor (who became Cheetah Chrome) played both belligerent, balls-out rock and roll ("Never Gonna Kill Myself Again"") and minimalist, previously uncategorized art rock ("Thirty Seconds Over Tokyo"). Their most famous song "Ain't It Fun" is simply one of the bleakest punk or pre-punk or anything pieces you'll ever come across. Laughner died in 1977, at the age of 24, and thanks in part to a moving obituary written by Lester Bangs, became one of the first and most legendary casualties of the punk rock movement.